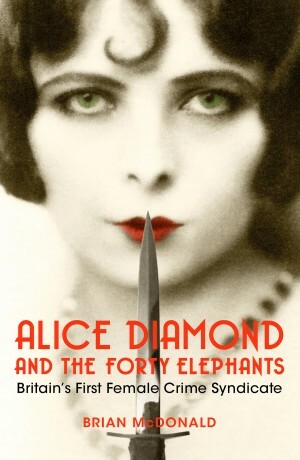 ‘When I have need of something, I take it’ Alice Hughes of the Forty Elephants. The Forty Elephants were unique in the annals of British crime. Emerging from the slums like fallen angels, these glamorous, lawless young women plundered fashion stores and jewel shops, picked their lovers from among London’s toughest gangsters and terrorised their rivals. Soon they were renowned, and feared, as the country’s first all female crime syndicate. They first rose to notoriety under Mary Carr, a beautiful artists’ model known as ‘Queen Thief’. But it was her successor, Alice Diamond, who led the Forties to their greatest infamy. Born the oldest of eight children in a workhouse hospital, she became the cleverest shoplifter in Britain. Newspapers described her gang as ‘notorious for their good looks, fine stature, and smart clothing’ as they travelled the country, stealing the finest silks, gems and furs, hiding their plunder in specially-made skirts and knickers and spending their ill-gotten gains in a whirlwind of mad excess. ‘You take what you will, without regard to the livelihood of others; you put aside all decency and show no shame at all’ A Sussex magistrate.